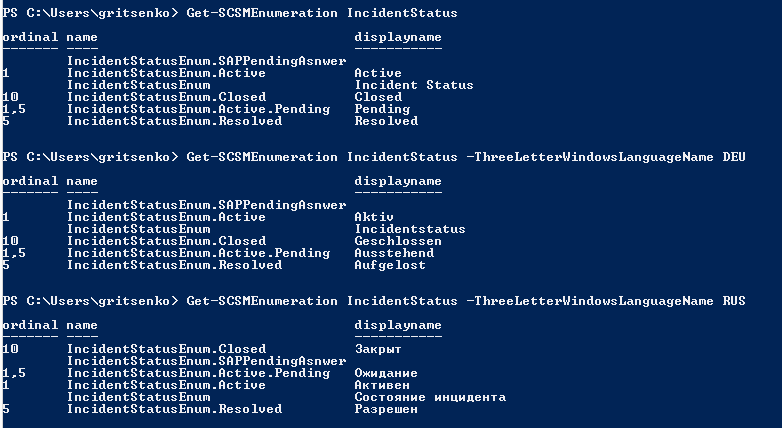 Glad to inform you that new version of the SMLets PowerShell comand lets was released couple days ago. This version is just very minor update of couple features and contains one new cmdlets. This comandlet create more for administrators and developers who need to check all properties for given class. The –Recursive switch allow you to display properties not only from current class. but also from all parent classes. You can use this parameter with any cmdlet. For instance, if you will run Get-SCSMObject with –ThreeLetterWindowsLanguageName all enumeration values will be localized to given language. Same true for management packs, templates and so on. 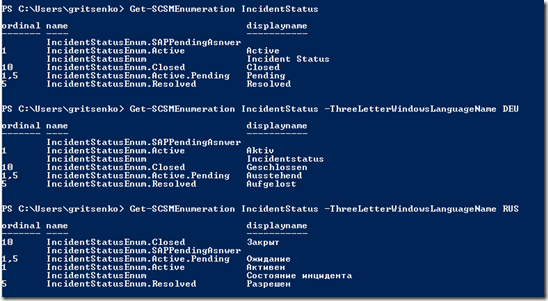 As you know, each EnterpriseManagementObject (but in fact, any object in SCSM at all) have a internal ID represented as Guid. This Guid can be very helpful sometime. 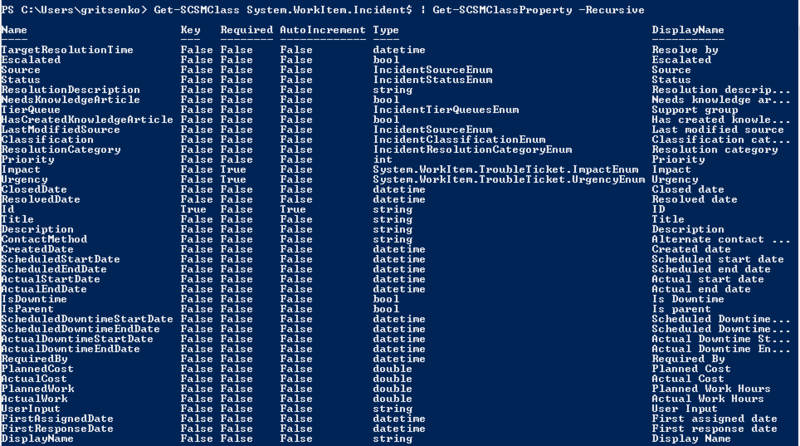 But the problem with SCSM is what System.WorkItem class have Id property and it stored the “human” Id (IR123, SR34 etc). So if you will try to get Id from object directly you will get this human id. There is some way to get internal Id, but it’s not very useful, because required to run the method. You can download new release here. 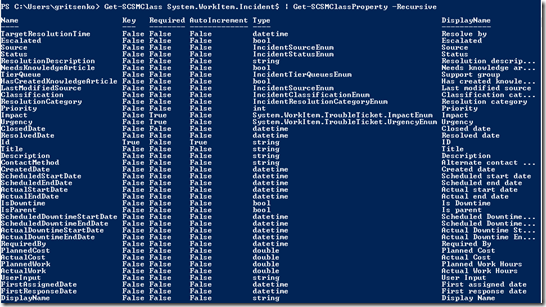 Next post: SMLets at PowerShell Gallery!